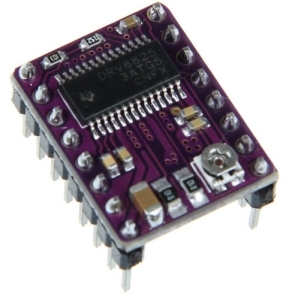 The DRV8825 stepper motor driver module is a small carrier PCB with the Texas Instrument DVR8825 stepper driver IC. 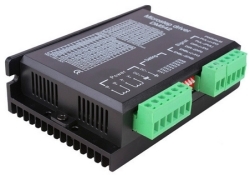 The module can drive 2 phase bipolar stepper motors in full, half, 1/4, 1/8, 1/16 and 1/32 microstepping modes. The module does not contains an optocoupler, the user has to provide the isolation externally, when and if optoisolation is required for the particular application. The DRV8825 datasheet can be downloaded here.